From a new Tyrannosaurus and many other dinosaurs to all of the living species named this year, researchers continue to chip away at the planet’s unknown biodiversity. 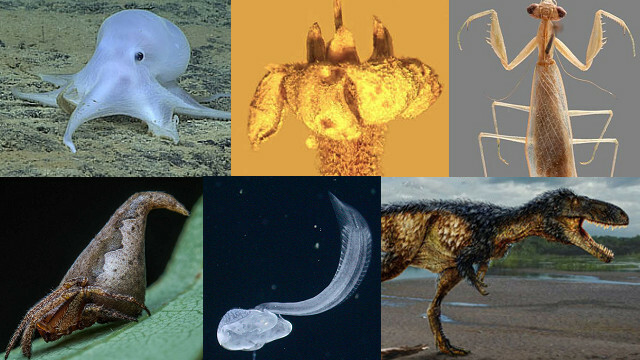 TOP ROW (FROM LEFT TO RIGHT): NOAA , GEORGE POINAR JR, RICK WHERLEY; BOTTOM ROW: SUMUKHA J. N., MBARI, AMNH/TODD MARSHALLBetween living and extinct organisms, the number of species that live(d) on Earth likely exceeds 10 million. So far, only about 2 million are known. But every year, researchers are identifying new species, as they comb through museum archives, measure genetic variation among and between populations presumed to be of the same species, or discover new fossils that shed light on the planet’s past. Rethinking how we define species can also affect species estimates. A recent interrogation of bird species—more than 95 percent of which were thought to have been identified—found that using morphological measurements split species, on average, into two—doubling the predicted number of avian species. 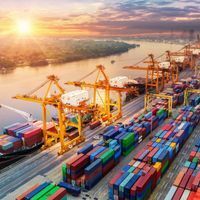 This year’s new species include a Tyrannosaurus rex relative as well as another, unrelated dinosaur with a large body and short arms (and at least 10 other new species of dinosaurs and ancient reptiles); a bacterium that can break down plastic, and another that can cause Lyme disease; an extinct river dolphin; and four living giraffe species that could complicate efforts to conserve the animals, which were recently listed as vulnerable by the International Union for the Conservation of Nature (IUCN). As US President Barack Obama prepares to leave the White House, he can rest assured that his name will live on in a new genus of parasitic flatworm, which infects turtles in Malaysia. The proposed name: Baracktrema obamai. Supreme Court Justice Ruth Bader Ginsburg doesn’t have to be jealous of Obama’s flatworm; scientists gave her a praying mantis. 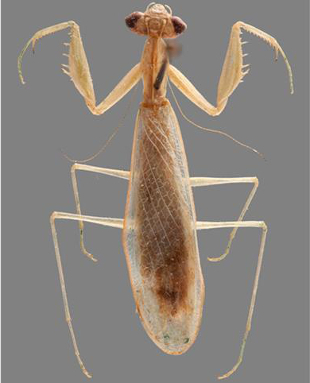 Identified using a new classification system based on female genital structures, Ilomantis ginsburgae is a new species of leaf-dwelling mantis that honors Justice Ginsburg and “her appreciation of the jabot, a decorative neck accessory, which resembles the neck plate of the insect,” Science Newsline reported. PHOTO BY SUMUKHA J. N.
Darth Vader and beetles named after Chewbacca and Paddington Bear. 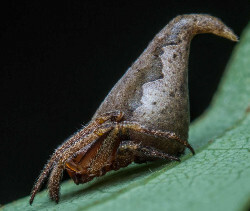 And just this month, researchers named a newly discovered spider whose triangular back resembles the sorting hat from the Harry Potter stories, earning the name Eriovixia gryffindori after the Gryffindor dormitory Potter stays in as a Hogwarts student. IMAGE BY RICK WHERLEYThis year saw the addition of a bioluminescent octopus—caught on camera by a National Oceanographic and Atmospheric Administration (NOAA) research vehicle that explored more than 4,000 meters deep in the Hawaiian Archipelago—as well as of two deep-sea fish of the family Opisthoroctidae, which were distinguished by pigment patterns on light-controlling organs called soles. 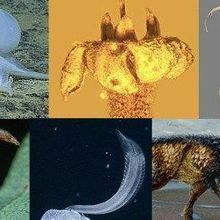 © 2011 MBARINot exactly a new species, a translucent, marine invertebrate called Bathochordaeus charon was spotted for the first time in more than 100 years, confirming its existence. 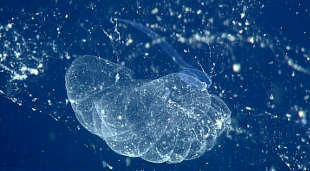 The so-called larvacean was first documented in 1899 by Carl Chun of Leipzig University in Germany; he had found the tiny sea-dweller in the south Atlantic and “believed the creature welled up from the deepest depths of the ocean, so he named the larvacean after Charon, who in Greek mythology ferries the souls of the dead across the river Styx,” LiveScience reported. 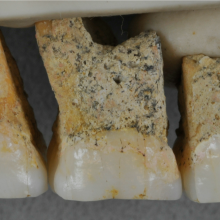 PHOTO BY GEORGE POINAR JRWhen researchers begin delving into our planet’s history, organisms preserved by fossilized tree resin often serve as important clues. 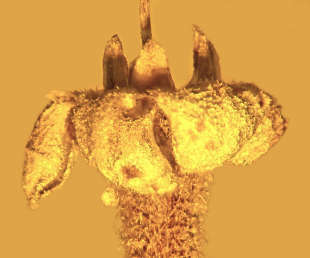 This year, two trapped 15-million-year-old flowers were identified as a new species of the genus Strychnos, dubbed Strychnos electri (“electron” is Greek for amber). Researchers also investigated a 100-million-year-old baby chameleon and 11 other new species of ancient lizards that suffered the same fate. 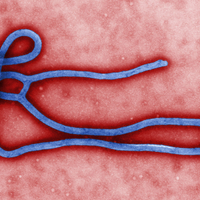 Researchers are often talking about the importance of gut bacteria, and recent investigations suggest that viruses and fungi are also important pieces of the mammalian microbiome. Yet another group of microbes to consider is the single-cell eukaryotes called protists. This year, a group of scientists identified a new protozoan species that lives in the guts of mice and can help protect the animals from intestinal infections of pathogenic bacteria.